When Conor McGregor raised the UFC featherweight and lightweight belts aloft in Madison Square Garden he cemented his place as one of the pound-for-pound best MMA fighters in the world. 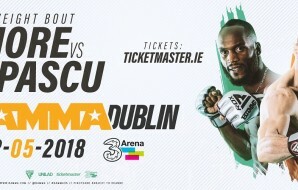 He spearheaded the initial phase of the fighting Irish phenomenon along with stars such as Holohan and Pendred, but now we’ve witnessed another generation of stars emerge. 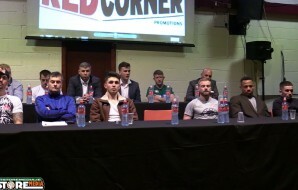 Fighters like James Gallagher, Rhys McKee and Sinead Kavanagh all tasted undeniable success last year and are hotly-tipped to follow in McGregor’s footsteps this year. 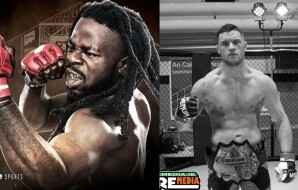 As Irish MMA gets ready for another huge year of action, Fighstore Media takes a closer look at our talent pool and tries to predict the fighters who are likely to grab your attention in 2017. Regarded as a future star by many, McCourt had a hugely successful 2016 and looks set for an even bigger 2017. 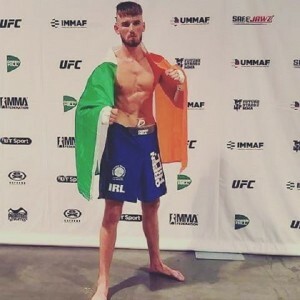 The Northern Irish fighter overcame surgery earlier in the year to become IMMAF world champion in Las Vegas and then travelled to San Francisco three months later to earn gold at the IBJJF world championships. 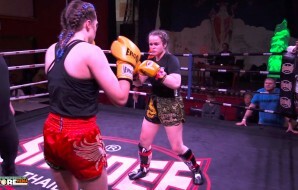 With an amateur record of 6-1, she looks set to make her pro debut sometime this year. 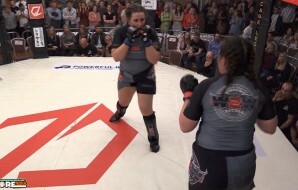 A judo black belt and dominant submission artist, four of her victories have come inside round one and just one went the distance. She’s an extremely exciting fighter to watch and has amassed a wide array of medals in the amateur ranks. With the UFC’s decision to introduce a brand-new women’s featherweight division they’ll no doubt be searching for the best talent to add to it. McCourt’s name has already been mentioned by some and it’s thought that she wouldn’t be too far away from receiving a call once she moves to the professional ranks. 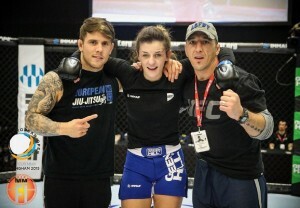 McCourt’s seen as a future UFC challenger by many and she’s expected to make a big statement this year. With continuing improvements to her striking, she could possess all the tools to have a long and successful career at the top of the sport. 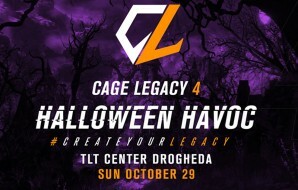 Cowley created an enormous amount of hype when he decided to make the move from Muay Thai to MMA under the tutelage of Coach John Kavanagh at Straight Blast Gym Ireland. 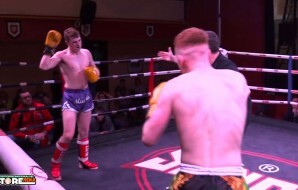 A multiple time Irish Muay Thai and K1 champion, he went back to basics to learn BJJ and at first it looked to be overwhelming but not for long. 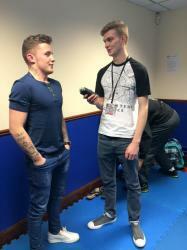 He made his MMA debut in February and suffered his first defeat before qualifying for the World IMMAF championships in Las Vegas where he made it all the way to the final. Unfortunately, he was forced to withdraw through injury. 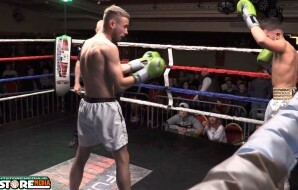 After undergoing surgery at the tail end of last year, Cowley will return to training early this year and begin preparing for his pro debut. With knock-out power, quick footwork and exceptional striking, his style makes him a tough opponent to face. 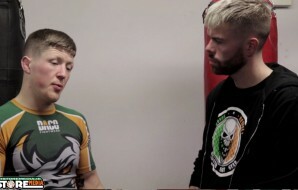 Conor McGregor drafted Cowley in to his fight camp ahead of his rematch with Nate Diaz which shows how well he’s regarded at SBG. 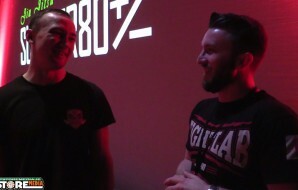 Expect to see him in action at BAMMA sometime this year. 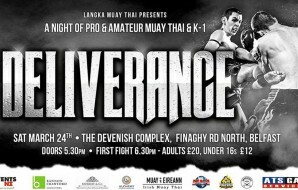 His aim will be to put a run of fights together in 2017 and make a name for himself on the MMA scene. 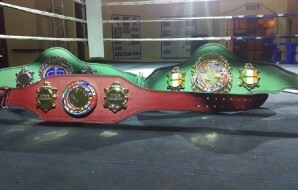 Without doubt one of the top Irish prospects. 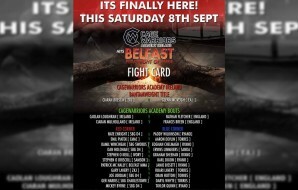 The SBG Charlestown fighter is developing into a world-class flyweight under the instruction of Owen Roddy. 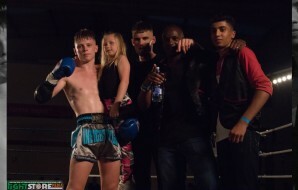 Ryan ‘Chaos’ Curtis is tipped to be a future UFC fighter and that dream may become a reality sooner rather than later. 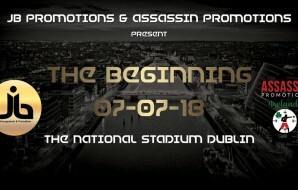 Last year the Dubliner fought for the first time as a professional on Irish soil and raised the roof of the 3 Arena. 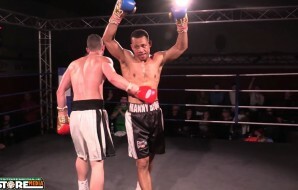 Against an experienced veteran, Shamsul Haque (8-9) he completely out-classed the Englishman over three rounds to earn a majority decision. He moved his perfect record to 4-0 and will enter 2017 full of confidence. 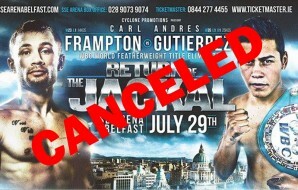 Curtis was due to fight for the BAMMA Lonsdale flyweight title at BAMMA 27 before injury forced him to withdraw. 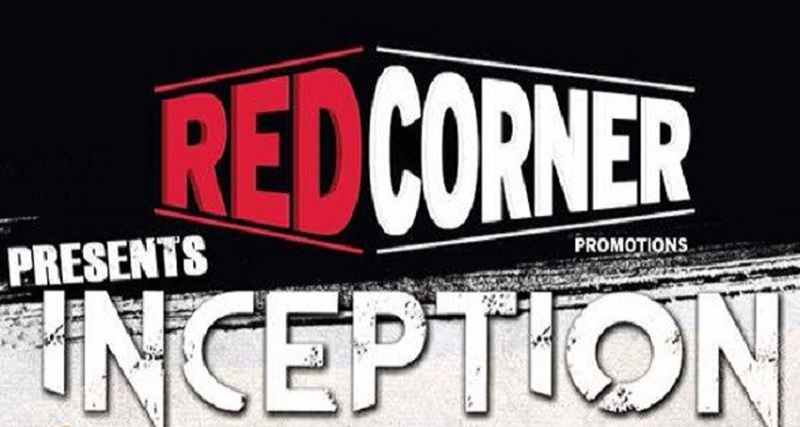 He should challenge for that title next and continue his run towards a world title by the end of the year. 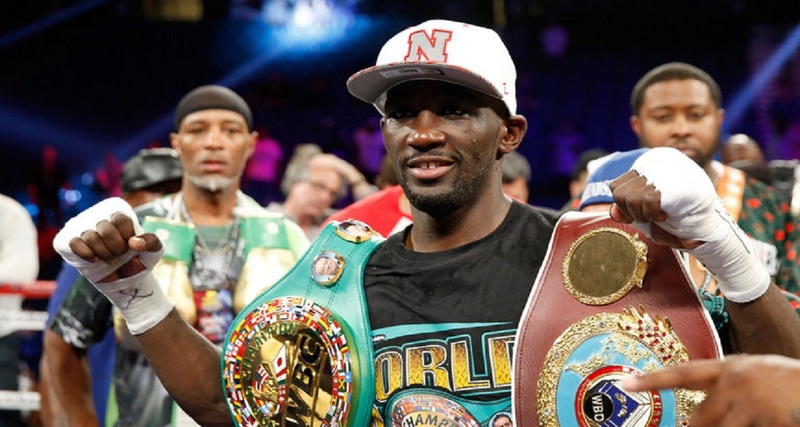 An aggressive striker, he’s amounted three first-round KO/TKO victories. If he continues to improve under Coach Roddy he’ll easily break into the top ten flyweights in Europe in 2017. 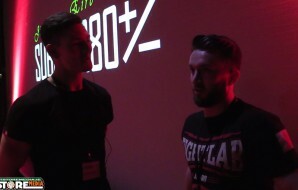 A composed fighter and diligent student under Coach John Kavanagh. Smullen is another of SBG’s rising stars that proved himself as one to watch last year. 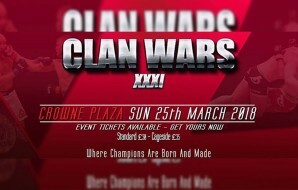 A BJJ purple belt, he has devastatingly slick Jiu-Jitsu and is re-knowned for his leg lock submissions. Each of his last three victories have come via leg lock. 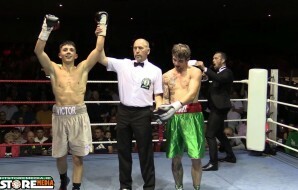 In 2016 Smullen made his pro debut against Jay Moogan and finished him in round-two. 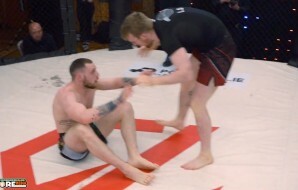 Then at BAMMA 26 he made light work of Andrew Murphy, taking him to the ground and transitioning effortlessly into a leg lock submission after just 90 seconds of round-one. 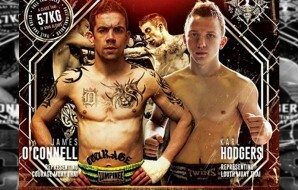 The featherweight is a high-level grappler but is keen to show fans that he is a complete martial artist. 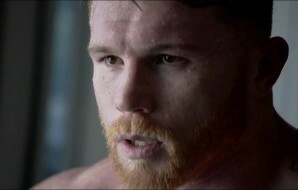 He’ll face tougher, established fighters in 2017 which will serve as a test to his credentials. But if he can remain undefeated and continue his devastating form he’ll find himself within title contention by the end of the year. 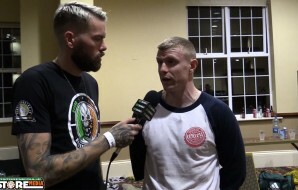 One of the newest Irish fighters to sign for the Cage Warriors promotion. 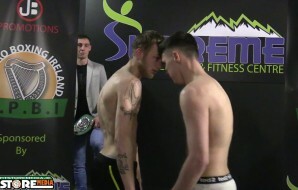 Lloyd Manning has already set his sights on the featherweight title currently held by Paddy Pimplett. 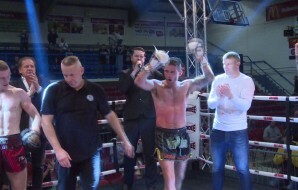 He plans to be in title contention by the end of 2017 and backed up his claim with a convincing first round TKO stoppage of Nathan Sparks at the Cage Warriors Unplugged event in November. 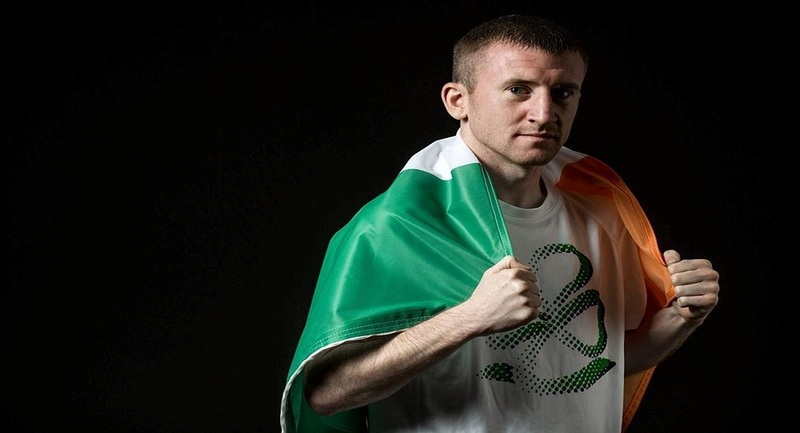 The Corkman comes from a background in judo where he’s been a multiple national champion. 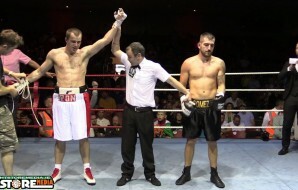 He also competed in Sambo, a form of wrestling, where he ranked in the top five in the world for his weight class. 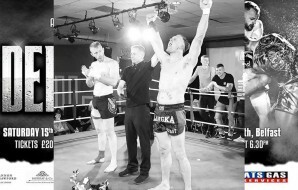 A complete martial artist, Manning has devastating knock-out power but is also a slick, and very effective grappler with an array of submissions on his record. 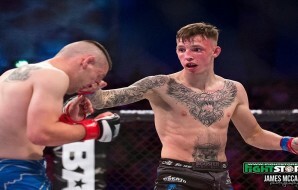 He made his debut at BAMMA 24 where he defeated Frenchman Nicholas Ott via TKO in round-one. 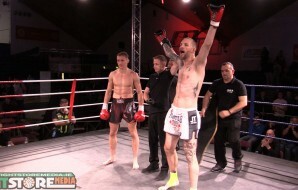 Then he made the decision to sign for Cage Warriors and collected his second victory taking his record to 2-0. 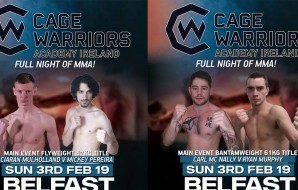 With Cage Warriors returning to Dublin in March it’s likely that Manning will be matched on the card. 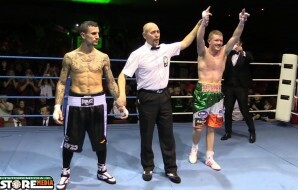 Another of Northern Ireland’s fighters who’s been making waves in Europe. 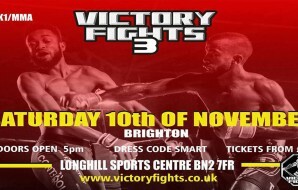 Light-Heavyweight Karl Moore is currently 7-1 and finished all but one fight inside the distance. 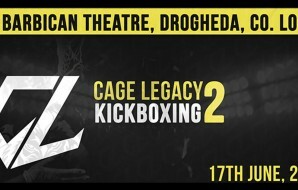 He bounced back from a serious injury in 2016 to make a huge statement at Cage Warriors Unplugged with a first round KO of Paco Estevez. 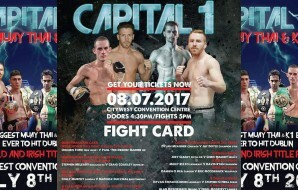 FAI’s Moore is a top prospect and many felt he should have been signed to fight on the UFC Belfast card last year in his hometown. 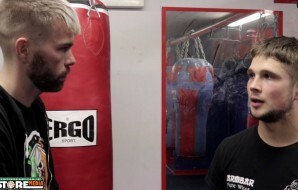 He spent time last summer training at Team Alpha Male in Sacramento which was hugely beneficial and you’re guaranteed fireworks every time he fights. 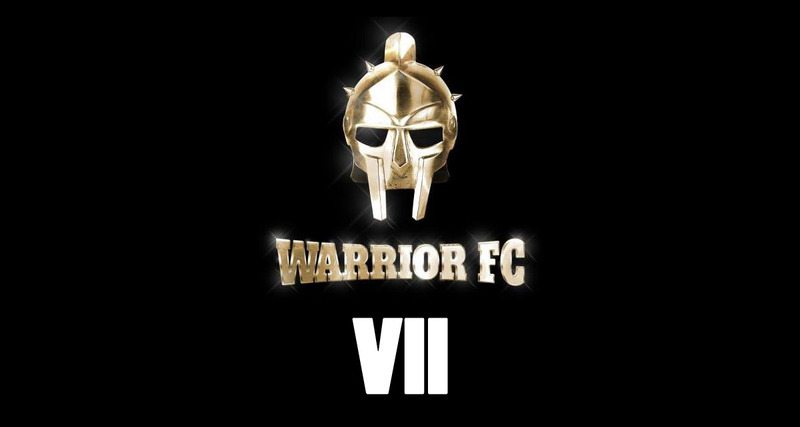 If he can put together a run of victories in Cage Warriors then expect to see him either challenging for the CW light-heavyweight title or signing for a bigger promotion by the end of 2017. 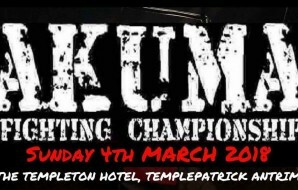 His name should also be one of the first on the card for Dublin in March. 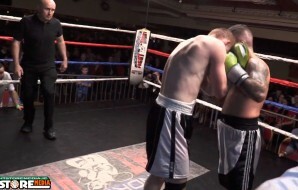 Is @Karl_Moore_FAI’s KO from #CWunplgged your KO of the year? It was a satisfying year for “Big Daddy Kief” in 2016. 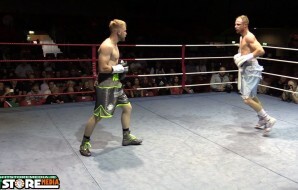 He made the move from the amateur to pro ranks and ended his year with a record of 2-0. 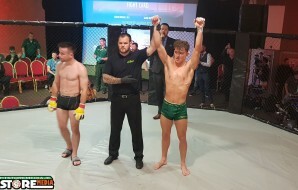 He showcased his immense strength and knockout power in his debut against Keith ‘The Butcher” McCabe with a first round TKO victory at Battlezone FC 15. 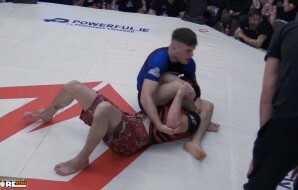 At BAMMA 27 he remained composed against a high-level grappler, Conor Riordan, and reversed his submission attempts to sink in his own triangle choke, ending the bout in the second-round. It was a performance which received a lot of plaudits from those in attendance for his ability to read the situation and work through adversity. 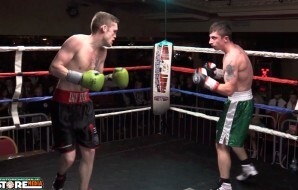 The welterweight is an exciting combatant with a large following in Dublin. If he remains injury free in 2017, he should fight several times for BAMMA. 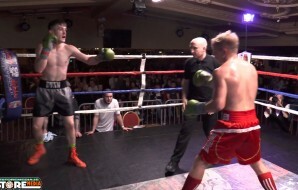 An entertaining fighter to watch, Crosbie has an aggressive fighting style with an ability to KO any opponent on his day. Crosbie is already looking ahead to bigger things in his future but putting together a run of victories would represent a very significant step in the right direction. 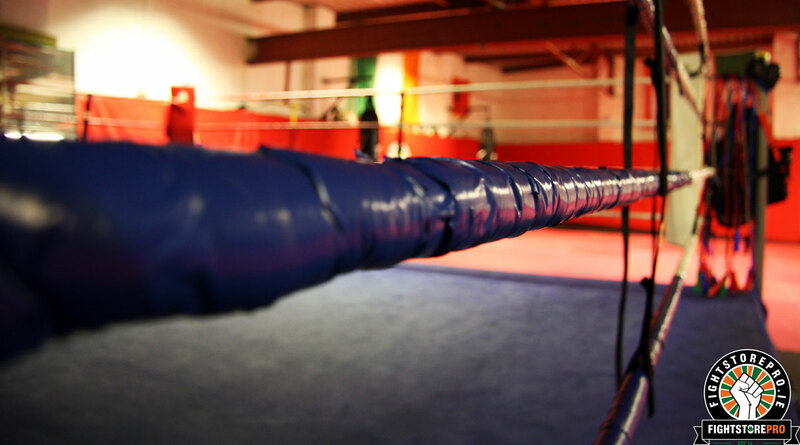 Fighstore Media welcome any feedback or comments you may have. If you think we missed someone let us know below.